This odd looking device was built in the spring of 2011 for an Introduction to Engineering course at Dartmouth College. Presented with the prompt of “minimizing noise” in everyday life, my group chose to make an attempt at dampening vibrations from power tools felt by the user. 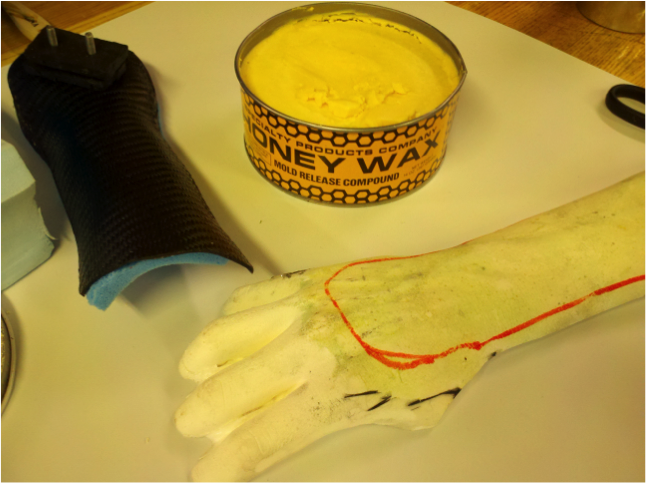 We took a hand sander as our test subject. The final product allows for full use of the sander while greatly minimizing the vibrations felt by the palm and the fingertips. Carbon fiber, machined aluminum, and memory foam were all used in construction.